best director | The Eye of Faith Vintage 11.11.11. When I die, the scientists of the future, they’re gonna find it all. 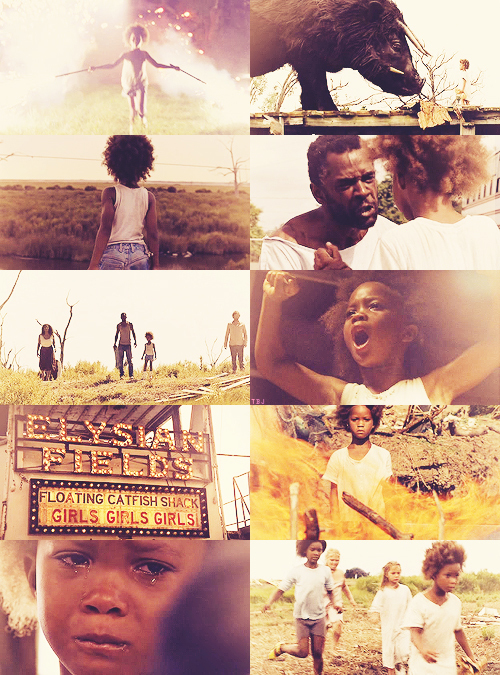 They gonna know, once there was a Hushpuppy, and she live with her daddy in the Bathtub. For anyone who has seen the film, starring the young, gifted, and beautiful Quvenzhané Wallis, you must have figured out by now that “Beasts of the Southern Wild” is probably one of the best films to come out in the last decade, and will undoubtedly find a place in the timeless classics we will refer back on in the future. It has a lot of deep, and often dark, melancholic undertones throughout, but somehow through the tireless imagination of young Hushpuppy (the revelation that is Ms. Wallis – who was only six during filming), and the unnerved determination of the residents of The Bathtub, an almost magic land cut off the from society by a flood wall in southern Louisiana; the message received by the end of the film was that of hope, community, and the ultimate joy of living. The film’s prose weaves together very real issues with mythical, allegorical, and almost fantasy-like elements in a way not achieved since the whimsical narration of Linda Manz in Terrence Malick’s “Days of Heaven”. Indeed, there is a Malickian sensibility throughout the film- the camera pans effortlessly through the scenery, focusing in on the subtleties and beauties in nature, light, and human expression. There is also some Fellini-like sensibilities, with many quirky characters, and the ability to bring the most mundane and normal daily events into the most seemingly magical ones. The film is nominated for 4 Academy Awards this year, including Best Picture, and Best Actress for Quvenzhané, who has become the youngest nominee ever for the category. However, with Awards season comes the snubs, and one of the biggest at this year’s Academy Award ceremony is most definitely the fascinating score for “Beasts of the Southern Wild“. Co-written by Dan Romer and director Benh Zeitlin, the film’s music is as much a character to the film, as the beautiful words, and almost other-worldly imagery. So in spirit of raising awareness for this film, and awesome, inspiring music , we thought of featuring the main theme, “There Once Was A Hushpuppy” by director Benh Zeitlin as this MUSIC MINUTE. Hope you enjoy, and definitely see the film! To learn more about the film click here.